Add instant glamour to any room with the Muse mirror. This gorgeous offers a luxe update to a classic silhouette. 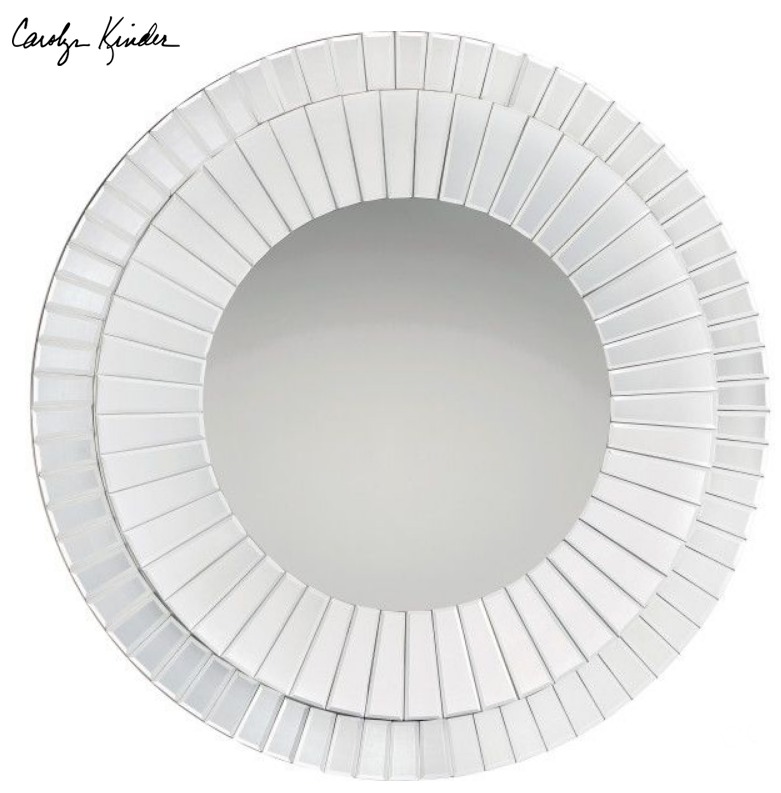 The oversized circular shape and layers of beveled glass add depth and drama to this already striking piece. Designed by Carolyn Kinder International. For retail purchase Google search term “Carolyn Kinder Muse Mirror”.